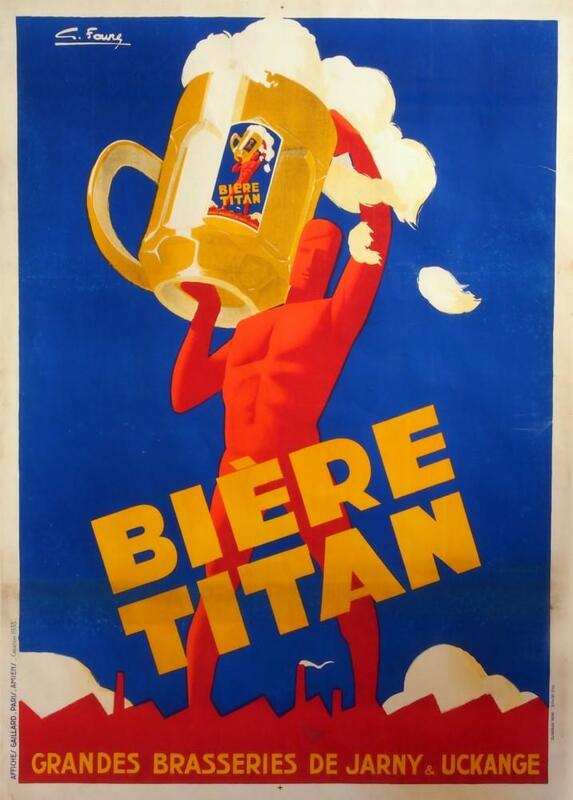 Tuesday’s ad is for Biere Titan, from 1933-34, though some sources say it’s 1926. From the late 1800s until the 1940s, poster art really came into its own, and in Europe a lot of really cool posters, many of them for breweries, were produced. This poster is for Grandes Brasseries de Jarny et Uckange, which was located in the Moselle region of Eastern France. 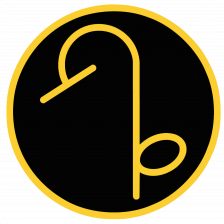 The company was created in 1926 by the merger of two breweries. The poster was created by Dutch artist Gabrielle Favre. Today is the birthday of Henry C. Moffat (February 5, 1844-December 30, 1920). He was son of James Moffat, who along with his father John founded one of the earliest breweries in Buffalo, New York in 1833. It was later called the James Moffat Brewery, and after that the Moffat & Service Brewery. After his father died, Henry took over the brewery, renaming it the Henry C. Moffat Brewery in 1890, which was closed by Prohibition in 1920. 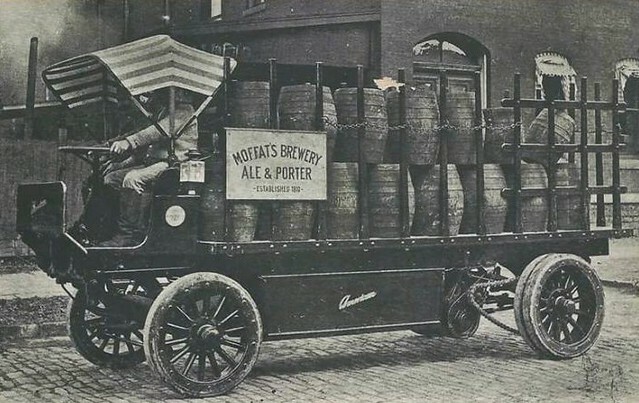 It briefly reopened after repeal, in 1934, as Moffat’s Ale Brewery, but closed for good the same year. 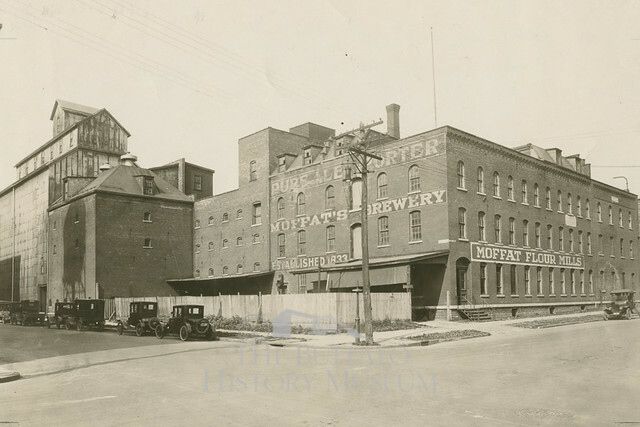 According to John & Dave’s Buffalo Brewing History, John Moffat, along with his son James, acquired what was Buffalo’s second brewery and named it the Moffat Brewery. 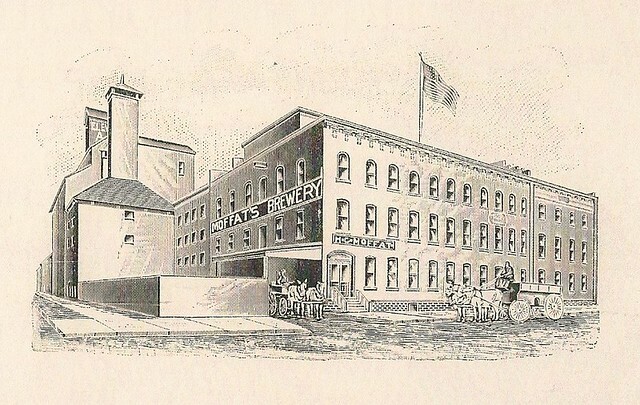 Kane, Peacock and Relay brewery was short lived however and a 1909 article in the Buffalo Evening Times indicates John Moffat and his son James purchased the brewing operation around 1833. 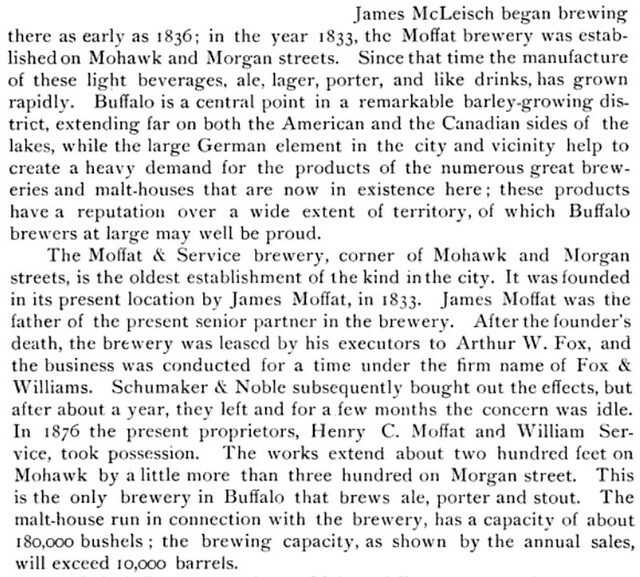 Also, the 1836 Buffalo City Directory lists Moffat as a brewer at that location. The 1839 Directory lists James Moffat & Co. as a “Brewery, Soap and Candle Factory”. The Moffat Brewery continued in operation until son James died and it was sold to Arthur Fox and became the Fox and Williams Brewery. In 1876 it was sold back to the Moffat family and continued in operation at the same location until the advent of Prohibition forced their closure in 1920. 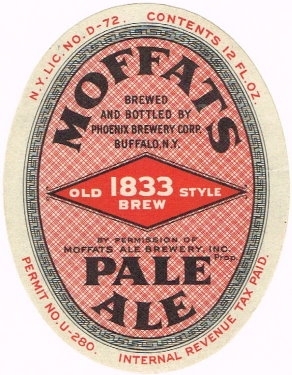 After Prohibition the Phoenix Brewery continued brewing “Moffats Pale Ale” through an agreement with the Moffat family. 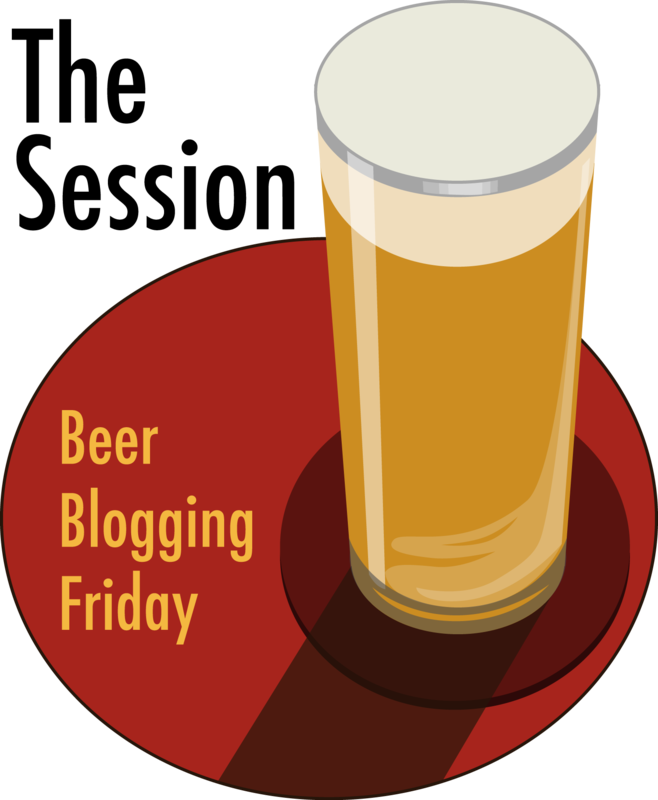 Today is the 80th birthday of British beer writer Roger Protz. 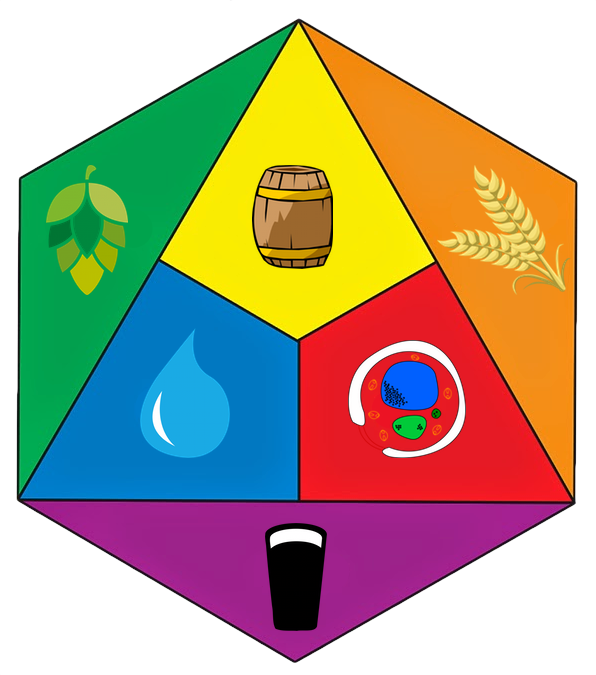 Roger, of course, if one of Britain’s best-known beer writers, having authored over twenty books on the subject, including being the editor of CAMRA’s Good beer Guide for two decades. 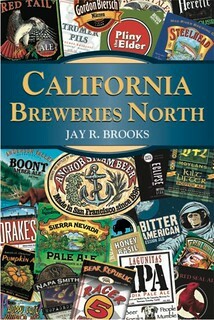 He’s also been very active in CAMRA through much of their history. 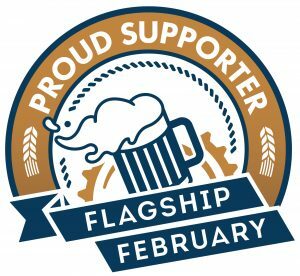 Although our paths cross only occasionally, Roger’s great to share a pint with, and we apparently love a lot of the same British television shows, something I discovered after many beers at Het Anker in Belgium a few years ago. Join me in wishing Roger a very happy birthday. 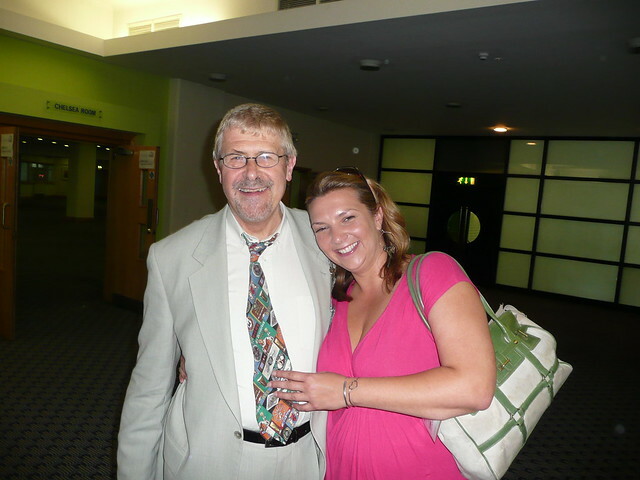 Roger with Melissa Cole at the Great British Beer Festival in 2009. 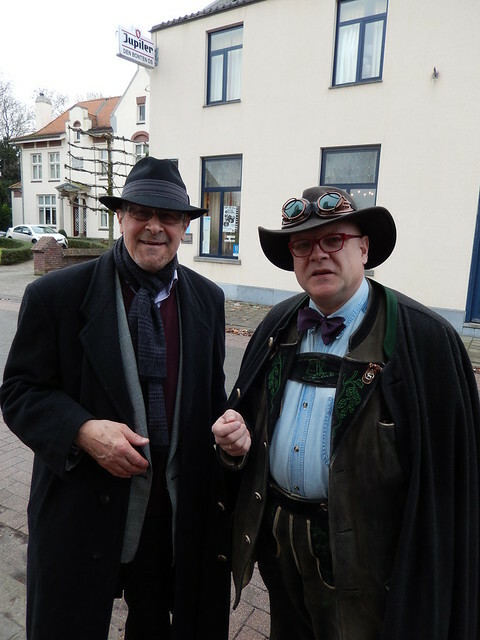 Roger with Austrian beer writer Conrad Seidl in Belgium during a press junket there in 2013. 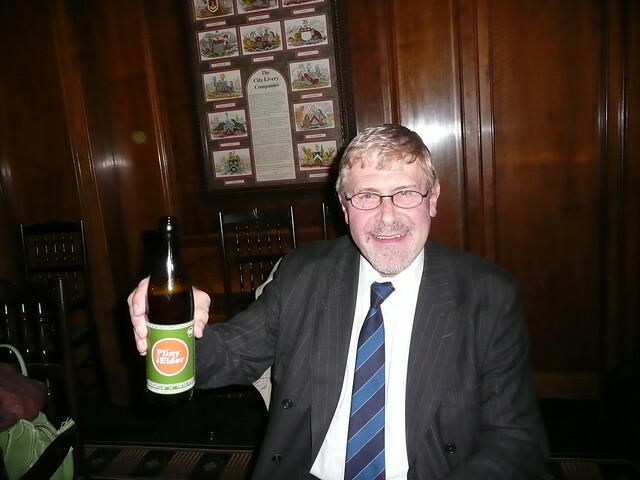 Roger with a bottle of Pliny the Elder I brought with me to England for him in 2008. 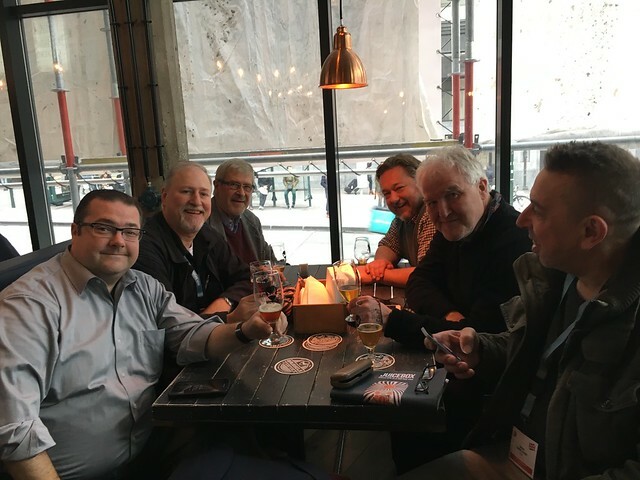 At our table at BrewDog in Brussels after judging in 2016, from bottom left: John Holl, me, Roger, Pete Brown, Tim Hampson and Adrian Tierney-Jones. Historic Beer Birthday: John L. Hoerber Jr.
Today is the birthday of John L. Hoerber Jr. (February 5, 1848-April 1, 1927). 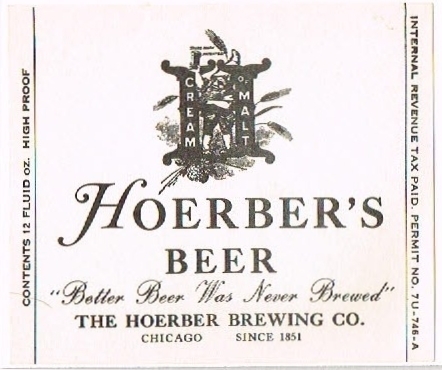 His father, John L. Hoerber, founded the John L. Hoerber Brewery in 1858 of Chicago, Illinois, located at 186 Griswold Street. There was very little information I could find about him or his son, not even a photo. 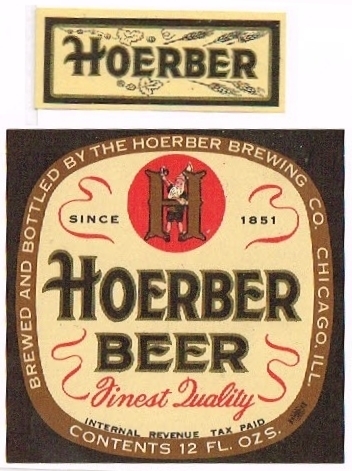 But their brewery appears to have taken on a partner in 1864, and was renamed the Hoerber & Gastreich Brewery, but just one year later was hte John L. Hoerber Brewery again. But in 1865 it was sold. As far as I can tell, another John L. Hoerber Brewery was opened in 1864, located at 216/224 West 12th Street, but appears to also have been sold in 1882. 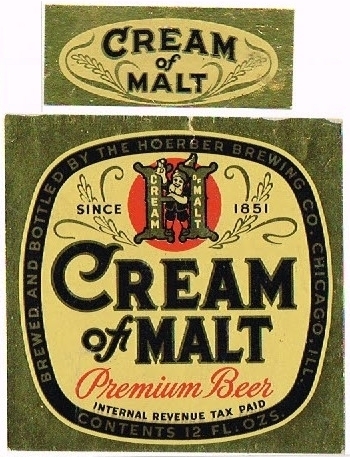 Then in 1882, yet another brewery was opened at 646/662 Hinman & 22nd Streets, though it 1885 it changed its name again from brewery to the John L. Hoerber Brewing Co., which is stayed until prohibition. 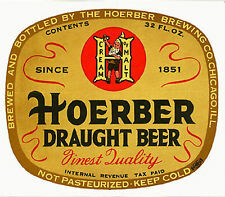 After prohibition, it reopened as The Hoerber Brewing Co., and remained in business until 1941, when it closed for good.